Structural cerebral deficiencies in smokers have been well characterized by morphometric investigations focussing on cortical and subcortical structures. Although the role of the cerebellum is increasingly noted in mental and addiction disorders, no reports exist regarding cerebellar alterations in smokers employing a methodology specifically designed to assess the cerebellar morphology. We acquired high-resolution MRI scans from 33 heavy smokers and 22 never-smokers and used a voxel-based morphometry (VBM) approach utilizing the Spatially Unbiased Infratentorial (SUIT) toolbox (Diedrichsen 2006) to provide an optimized and fine-grained exploration of cerebellar structural alterations associated with smoking. Relative to never-smokers, smokers showed significant reductions of grey matter volume in the right cerebellum Crus I. The grey matter volume in Crus I correlated negatively with the amount of nicotine dependence as assessed by means of the Fagerström scale. 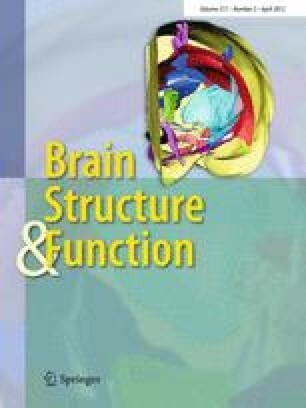 Since Crus I has been identified as the cognitive division of the cerebellum, the structural deficit may in part mediate cognitive deficits previously reported in smokers. Of note, the dependence-related magnitude of the volume deficit may support the notion that the cerebellum is substantially involved in core mechanisms of drug dependence. This study was conducted within the framework of the German Priority Program (SPP1226) http://www.nicotine-research.com: Nicotine: Molecular and Physiological Effects in CNS on Nicotine Dependence funded by the German Research Foundation (Deutsche Forschungsgemeinschaft, DFG). Project: Wi1316/7-1. SK is a Postdoctoral Fellow of the Research Foundation Flanders (FWO).